The Online Parenting Programs are approved for court-ordered co-parenting requirements in Wayne County, accepted for Genesee County and Recognized by Washtenaw County Courts. In Oakland and Livingston Counties, check with your court to find out if your online parenting credit will be accepted. The reasons for divorced parents taking parenting classes varies. Sometimes a parent will allege that the other parent is deficient in parenting skills. Other times online co-parenting classes are court mandated. Whether this may be the case or not, parents who complete a parenting skills class can only benefit. Completion can be used to demonstrate to the court their willingness to be a good parent. “Parenting Wisely” offers evidence-based programs that have been shown to reduce child behavior problems, teen substance abuse and violence, and delinquency. Research has also shown that Parenting Wisely improves the parent-child relationship, increases parental self-efficacy, and satisfaction with the parenting roles. The program takes 4-5 hours to complete, is designed to be untuitively easy to use, and gives parents a certificate of completion after they pass the six modules.There is a version of the program for parents of preteens and teens, and a version for parents of 3-10 year olds. ADEPT stands for After Divorce Effective Parenting Together. It is an eight-week series of co-parenting classes. It can be voluntary but is often court-mandated if a pattern of destructive, contentious parenting has been demonstrated. The workshops are recommended for high-conflict divorce cases. Participants learn to take responsibility for communication problems and are educated about the impact their conflict is having on their children. All sessions are supervised. Both parents must agree to attend all eight sessions and must not initiate any new litigation during the eight weeks of the class. The ADEPT groups, of between four and eight co-parents, meet one evening/week in Waterford or West Bloomfield. The fee for the eight-week program is $295/person. 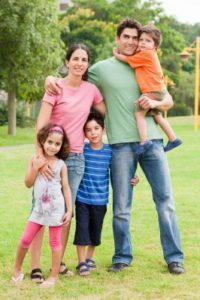 The law office of Kathryn Wayne-Spindler & Associates has provided this information and link as a courtesy to clients who have been recommended for co-parenting classes. Co-parenting classes like ADEPT can often provide effective communication skills instruction, however, our office does not endorse one program over another or guarantee a satisfactory outcome. For more information about co-parenting classes, contact the Milford, Michigan law office of Kathryn Wayne-Spindler & Associates at 248-676-1000.